We’re lucky to live here in Santa Cruz. No doubt, this is an area where it’s fairly easy to eat high quality, healthy food. But still, with today’s fast-paced lifestyles, stresses, and time challenges, it’s often difficult to eat well all the time. And many of us have health conditions that require extra support. I think nutritional supplements are indispensable for helping to maintain our optimum health. It’s no secret- I take a number of supplements every day. And I think that most others would do well to do the same. But which ones? And what brands are best? 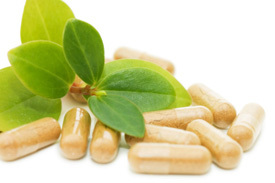 Nutritional supplements vary widely in quality, bio-availability and price. And with so many choices on the shelves, which ones should you use? For many years, most of what I personally use has come from Pure Encapsulations, a lab that makes what I consider to be some of the highest quality formulations that I know of. Their research-based products and manufacturing practices are impeccable. But because their products are only available through licensed health care practitioners, and I’ve not wanted my practice to seem like a retail store, I’ve not dispensed them, even though I think they are among the best. This has left my practice members on their own when it comes to figuring out what supplements to use. So often I’ll make a suggestion, and the patient will end up buying something else that is not what I intended to recommend. Frustrating. That’s changed now. For those who choose to, my practice members are now able to purchase Pure Encapsulations supplements online, through my storefront site. You can now have access to the same professional formulations I get to use. I want to be able to make a recommendation, and know that you will be able to actually find what I’m suggesting, rather than settling for something that may not fulfill our goal. These are top-notch formulations and now you get to have the same options I have. Check it out at the store site. For all-around nutritional support, a high quality multi vitamin/mineral is essential. UltraNutrient is what I use, and it’s about the best broad-spectrum formula I’ve found. People sometimes would like their multi to be a one-tab-a-day thing, but if you’re after quality, bio-available nutrients, you just can’t pack it all into one tablet. 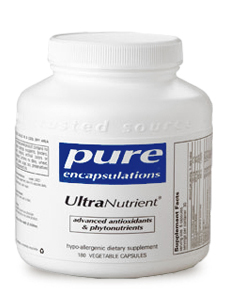 UltraNutrient uses 3 capsules to meet its label potencies. If that seems like a lot, it’s OK to use fewer. Even one is a step in a healthful direction. Some is better than none. It’s OK. You get to choose. Everybody’s heard of their benefits. And it’s true. Omega 3s are a great supplement for so many healthy functions, including cardiovascular, cognitive, skin and joint health. You should take ‘em. Two to four a day is a good range, but for the shy, even one is a healthy step. Check out EPA/DHA with Lemon. A vegetarian formula is also available (EPA/DHA Vegetarian), though it does not contain as much EPA/DHA and costs more than the fish oil sourced formulas. Vitally important, and not just for bones, Vitamin D is critical for so many body tissues and functions. It also has anti-tumor, heart, gastrointestinal, and immune system benefits. And it doesn’t cost much, so there’s no reason not to take supplemental D. Use the form called D3. Calcium absorption is increased by as much as 50% if you have enough vitamin D on board. A blood level of 50-60 ng/ml is a good target, if you have a blood test. Most people do need supplemental vitamin D to obtain these levels. It’s good to take D in addition to the usually small amount contained in a calcium or multivitamin/mineral formula, especially if you want to build bone. 2,000 IU daily is safe for healthy people to take without testing. Unhealthy people may need more vitamin D depending on their condition. You want to get that calcium into the bones? Vitamin K helps get it there. Synergy K is a blend of K1 and K2 forms. An exceptional all-around antioxidant, Alpha Lipoic Acid scavenges the destructive “free radicals” that cause so much degenerative disease, arthritis, and tumors. We need antioxidants more than ever to counter the effects of a toxic environment and excessive food processing. I personally use the 200 mg capsule, one to two per day. You can choose your own dose level. Probiotic is a term that refers to bacterial cultures that aid in maintaining optimum intestinal health. So much depends on the healthy function of the digestive tract. Antibiotic use can wreak havoc on the delicate ecological balance of microflora in the gut. Good balance of intestinal flora reduces gut inflammation (which, in addition to intestinal discomfort, can cause systemic bodily inflammations including heart and blood vessels, joint pains, and other degenerative conditions), and helps the digestive system absorb nutrients well. There are many strains of different bacteria in various probiotic products, and a great product for general support is Probiotic GI. Take one per day. Pure Encapsulations only ships in insulated containers with ice packs to preserve the vitality of the organisms, another reason for using their products. Enzymes found in natural foods are necessary for complete food breakdown, and thus, complete absorption. Processing food, even cooking it, destroys these needed enzymes. If food is not broken down completely in your gut, then you can not absorb much of the nutritional value of what you eat, no matter how good quality the food is, and that can lead to nutritional deficiencies. It also leads to inflammation, both in the intestinal tract and systemically, causing problems you don’t want, such as bloating, joint and muscle pain, and various degenerative conditions. Digestive Enzymes Ultra is a good broad-spectrum enzyme formula. Get more from what you eat. Take it with meals, one or two. I do. OK, that’s a lot of information on one page. To help your brain recharge, but still stay on the topic of nutrition, here’s an entertaining diversion. 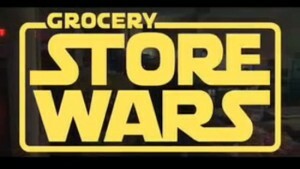 Short and humorous (especially for us of the original Star Wars generation), watch this Store Wars video.